Soda bread, corned beef and cabbage, and colcannon are all great dishes to serve up on St. Patrick's Day, but desserts really let your inner leprechaun come out to play. 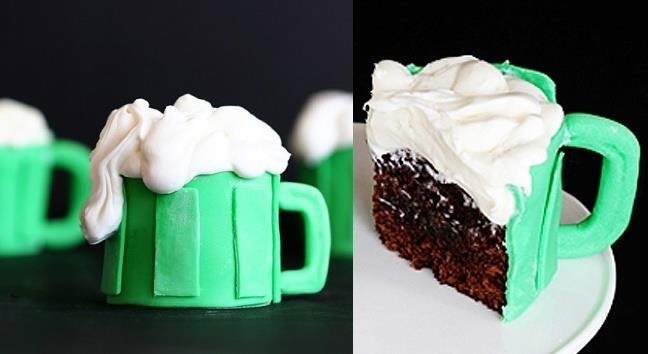 Not only can you have fun incorporating all kinds of tasty Irish liquors into baked goods, you get to dye things green. Read on for the tastiest Irish-themed desserts you can whip up to impress your guests. As a bonus, most of these are pretty easy to make, even for novice bakers and pastry chefs. Thin Mints and St. Patrick's Day might have been made for one another. This easy dessert requires only a few ingredients: marshmallows, Thin Mints (bought or homemade), green candy melts, and melted chocolate. Making the green accents and lucky four-leaf clovers isn't as tricky as you might think, either. Make sure to read the instructions and watch the video below. The ice cream sundae gets a decidedly grown-up twist in this St. Patrick's Day version. 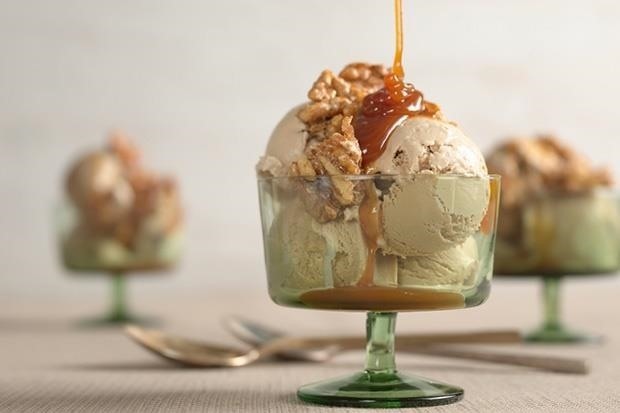 Coffee-walnut crisps and a decadent caramel, cream, and coffee sauce spiked with whiskey make this sundae an amazing treat. Get the full recipe from Epicurious. 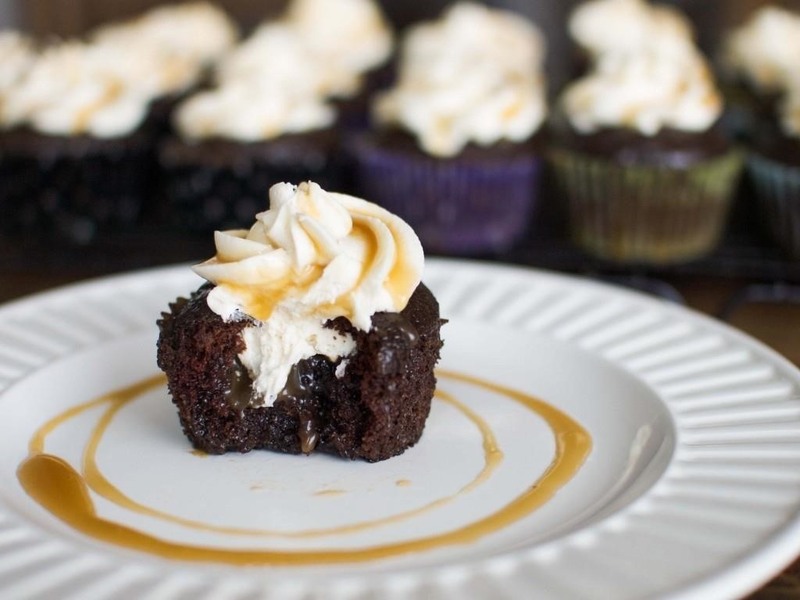 Some say that cupcakes are over, but after viewing this recipe for chocolate stout cupcakes from Veggie and the Beast, I think it might be time to bring 'em back. Did I mention that they have a gooey salted whiskey caramel center and are frosted in whiskey buttercream? And don't get too fussed over what kind of stout to use. The recipe specifies oatmeal stout, but if your local stores don't have that, Guinness more than fits the bill. 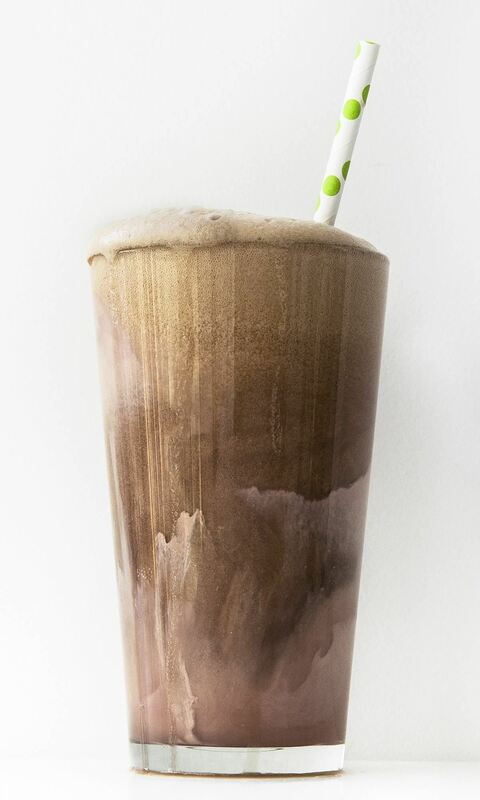 This might the easiest of all Irish-themed desserts to make—you just crack open a Guinness and pour it over a couple of scoops of your favorite ice cream, right? 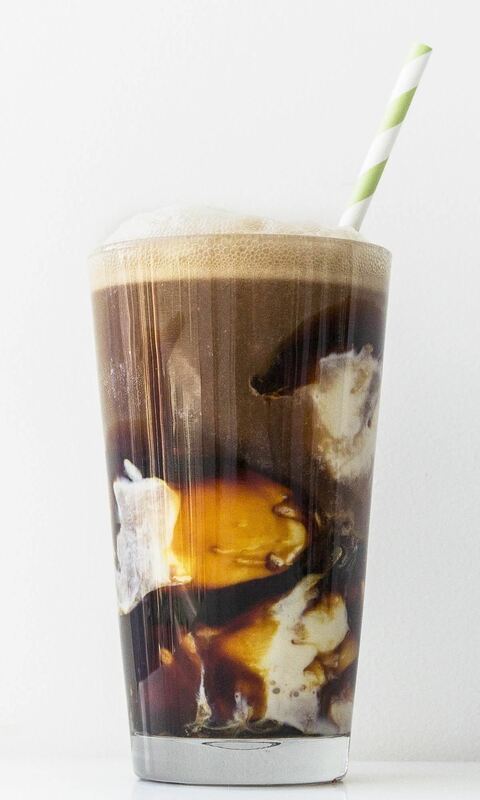 While that approach works in a pinch, you're better off taking the time to add a couple of extra ingredients to really make an outstanding version of a Guinness float. 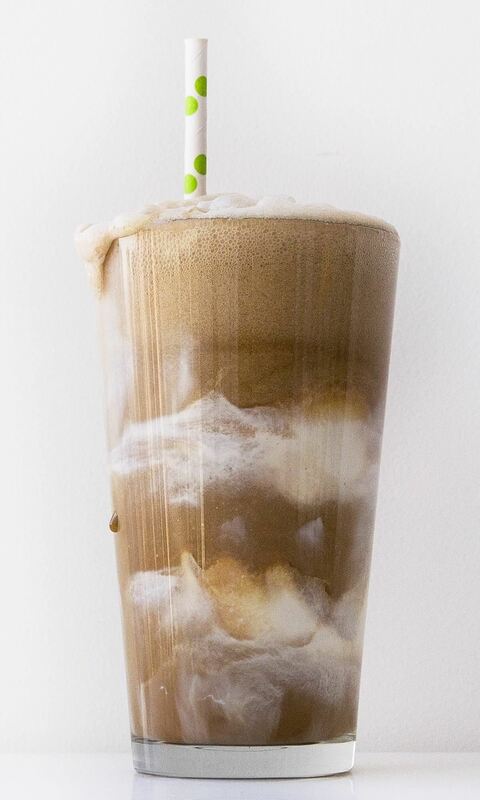 Bon Appétit has three great versions: a Guinness affogato (a combination of espresso, Guinness, and ice cream), Guinness chocolate float, and a ginger-chocolate version. In all three cases, they suggest that adding an extra shot of Bailey's might not be a bad thing. 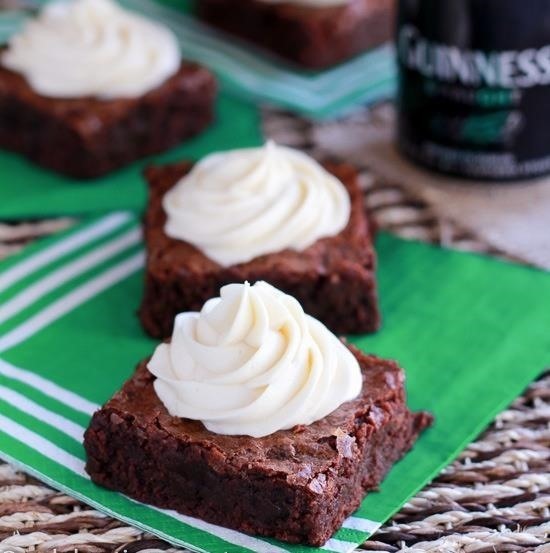 Baking with Guinness reaches new heights with this recipe from Celebrating Sweets. All that chocolatey brownie goodness is topped with a swirl of Bailey's vanilla-cinnamon cream frosting. 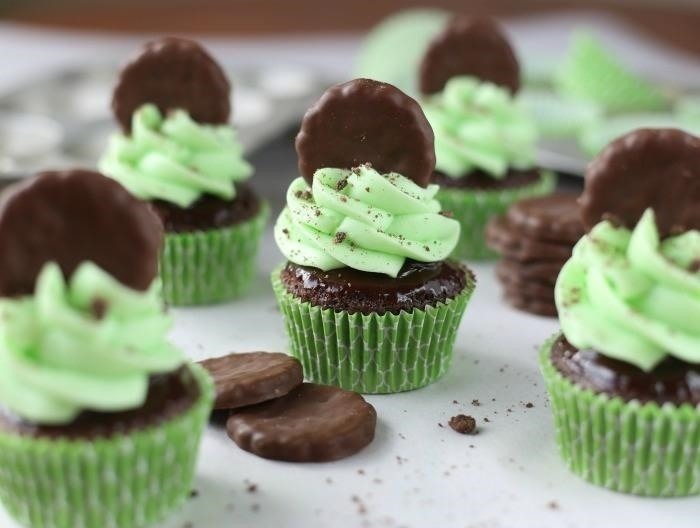 You can support the Girl Scouts and celebrate St. Patrick's Day by making these rich chocolate cupcakes, frosting them in chocolate ganache and a swirl of mint frosting, and topping them with a crunchy Thin Mint. As with the leprechaun s'more hats above, you can use either official or homemade Thin Mints, or you can even go with Keebler Grasshopper fudge mint cookies. Lizzy from Your Cup of Cake created a lovely tutorial on My Baking Addiction, so be sure to check it out. Your Cup of Cake takes McDonald's famous Shamrock Shake and turns it into a tasty green cupcake. Even better, she gives you two versions of the recipe: one you can make from scratch, the other you can make using a boxed cake mix. 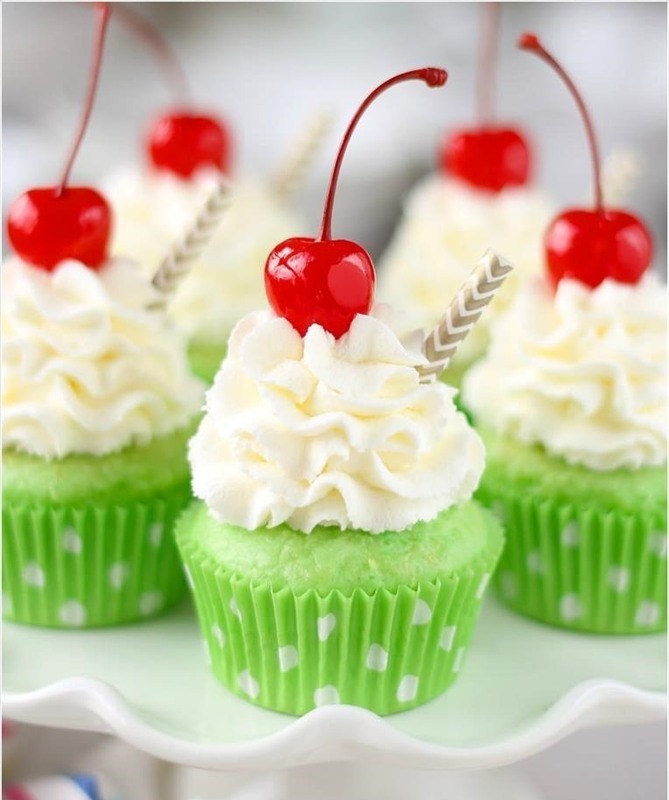 These minty green cupcakes are loaded up with a super-fluffy mousse-like frosting. Add some mini-straws and maraschino cherries, and no one will be able to resist these guys. If you want to make a grown-up version, Beyond Frosting has a recipe for boozy shamrock shake cupcakes. More St. Patrick's Day Fun! Homemade corned beef and cabbage is the best, especially with this recipe. Glowing green candy will thrill the kids in your home. And learn how to make a leprechaun balloon hat in honor of St. Paddy.